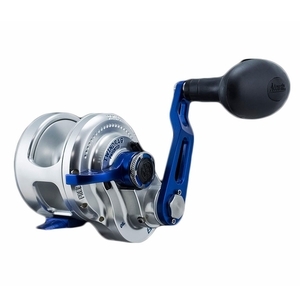 Accurate Boss Extreme 500XN Multiplier Reel - Narrow Spool - Left Hand Wind. BOSS EXTREME reels have been the staple product of our reel line since the beginning. The original Accurate owners purchased the 197, 270, 870, and 665 which were the first wave of TwinDrag® reels sold and many of those reels are still putting fish on the deck. As innovation continued, the Nilsen twins have taken the Boss Series to a new level of engineering with new materials and designs that are lighter, more powerful, and with new cosmetics that makes them stand out on the shelf. The Boss Series was the foundation for all other reel designs in the Accurate line. These reels have been copied but never duplicated and stand as the First real TwinDrag® reel ever offered to the general public.